Why are tests so frightening? Is it because we’re never sure of their content or the consequences of failing? Is it a lack of confidence in our own abilities? Whatever the reason, tests can inspire an aura of nervousness and fear when the student can’t handle the strain properly. For children, this is something particularly jarring and difficult to deal with. It doesn’t matter if it’s a quiz next month or an international school admission test; the prospect of facing something unknown to them at this stage of their lives can be nerve-wracking. It falls on the educators and parents to guide the child through this particularly difficult process and provide them with the tools and knowledge required to prevent similar situations in the future. Since the child hasn’t developed a proper gauge of how the test can benefit them, they need someone to guide them through it. A lot of pressure is often unknowingly generated by the teachers or parents when they warn the child about what will happen if they fail. At this age, the kid has little to no understanding of the degrees of consequence—it’s entirely possible that in their mind, failing the exam is related to their failure as an individual. Not only is this a highly-destructive outlook on themselves, but it can also turn into extremely negative mental health issues once they grow older. The best way to avoid this is to assure them that while there will be consequences, failure is a possibility. This isn’t to say that you should coddle them if they end up failing, but rather encourage them to work harder to increase their chances of passing the examination. 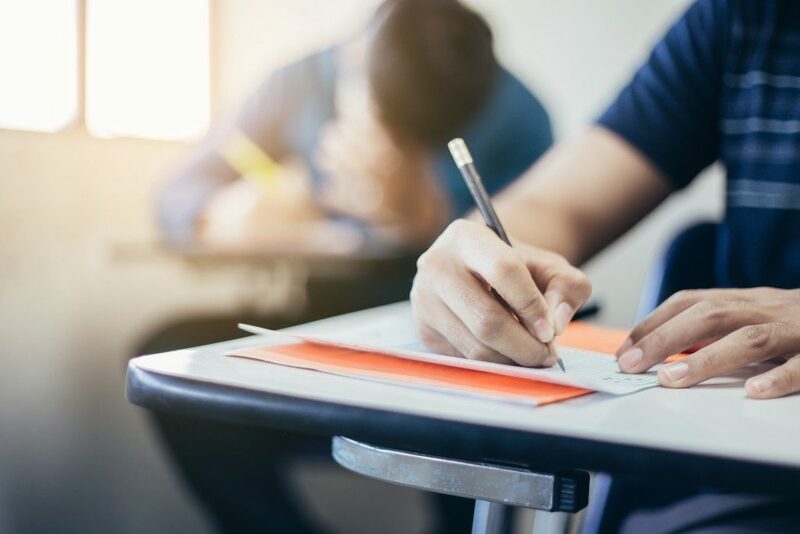 Another issue related to a child’s fear of failure is often the misguided impression that failing an exam would mean the end of something significant—even if they aren’t sure what that thing is. This often happens when the focus of the educator or parent is to prevent the kid from failing, rather than teaching them why the exam is so necessary, to begin with. As they don’t have a very good idea of the possibilities behind test failure, it’s important to impart on them that failing tests isn’t the end, or that tests are some sort of requirement in order for them to progress in their lives. While you should not underscore the importance of tests to children, you should also let them know that as far as their paths are concerned, it’s not an ending, but an opportunity to get better. What all adults should keep in mind is that children are extremely impressionable. While you may teach them the necessities of dealing with examinations, your own attitude will also be taken as a frame of reference on how they deal about it. Keeping your composure will go a long way in helping them calm down, and can provide them with the confidence they need to pass their exams.